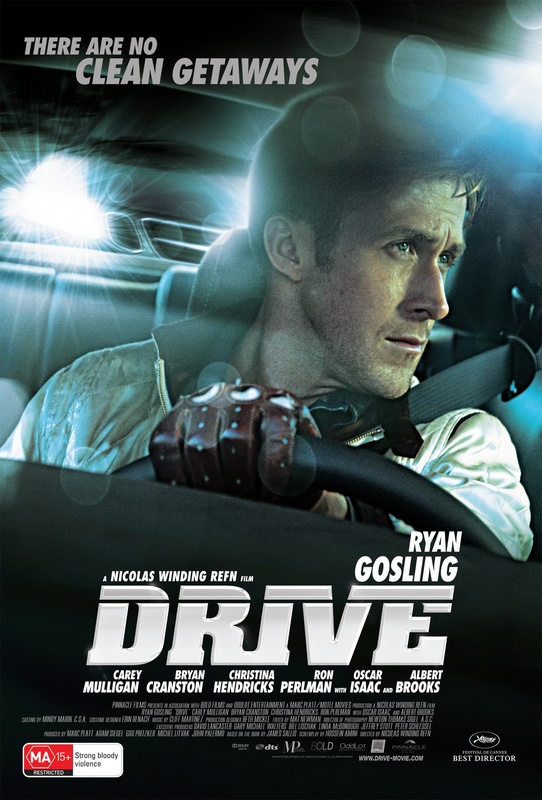 A Hollywood stunt-driver and mechanic (played by Ryan Gosling) moonlights as a getaway driver for criminals. However, in attempting to help his neighbour who is in trouble, he winds up in an extremely violent and awful situation. Gosling is the current king of the intense stare that speaks volumes. He doesn’t need to speak; just the slightest change in facial expression tells the audience exactly what they need to know. This film is intense – eventually. I’m late coming to this party, having been told for such a long time what an amazing film this was. I’m always wary of this – so often when I have built-up expectations, I get let down. Not this time. However, the first half of the film is very slow (apart from the driving scenes which are totally awesome), and I was starting to get worried. Then it all happens. When you have been warned that the film gets quite horrifically violent, you’ve been warned. For me, there were several points when I thought that I’d hit the horrific point. And then it kept going. And kept going. I’m not ashamed to say that there were a few parts of the film that I watched through my fingers. Drive was nominated for an Oscar for Best Sound Editing.